Not all termite species build mounds. Only the termite sub-family known as Macrotermitinae can create mounds. These termites gather various forms of plant matter for sustenance, and this plant matter is stored within specific chambers contained within their mounds. In order to make this plant matter easier to digest, termites wait for fungi to grow over their stored piles of collected plant matter. This fungi grows significantly after bouts of rain. It does not take long for the fungi to grow through the tops of termite mounds, making them clearly visible. This type of fungus is known as the Termitomyces mushroom, and this mushroom has been consumed by African natives for centuries. The food-providing capacities of termite mounds have long been considered a form of magic by female shamans. The African religious cults of Santeri, Renuka and Yellamma worship an earth goddess known as Roen or Santeri. This earth goddess is illustrated on religious emblems as a five-hooded serpent emerging from a womb. These religious cults call this emblem “Nagakashtha.” Many religious scholars believe that the Nagakashta originated from the image of immature mushrooms protruding from the tops of termite mounds. This is one of many reasons why termite mounds serve as symbols of female fertility in African cultures. Do you think that the American attitude toward termites would be more positive if mound-building termites existed in the United States? Why Do Some Modern Eastern Cultures Continue To Worship Termites In Spite Of Their Pest Status? 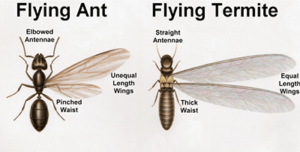 In the past people may have regarded termites as nothing more than undesirable pests. However, now we know that termites provide essential ecological services that humans could not live without. Therefore, while termites will always be structural pests, everyone in the world can agree that they are not all bad. 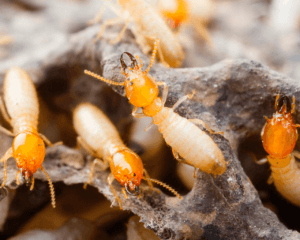 It is hard to imagine anyone liking termites for any reason other than their ability to convert dead plant matter into soil-enriching particles. However, in many parts of the world, termites are highly thought of as having spiritual or religious value. Some of you may know that past cultures considered termites to be good omens. Rarely were termites thought of as evil entities, like snakes and many insect species. This is not necessarily hard to believe, as centuries ago, mass home construction projects and large scale residential areas were not yet a thing. In other words, when termites were accorded spiritual value by past cultures, there were no homes for termites to destroy. However, it is hard to reconcile modern people worshipping termites considering their long association with property and crop destruction in just about every corner of the world. Also, given the state of modern scientific understanding, it would seem silly to associate termites with positive notions of spirituality. Despite, our current understanding of how termites function in nature, many modern groups of people living in various Asian nations continue to apply ritual significance to termites and termite mounds. It is hard to blame some modern cultures for not abandoning their spiritual beliefs concerning termite mounds, after all, termite mounds can reach thirty feet in height, making them awe-inspiring structures. The largest groups of people who treat termites with spiritual or religious significance live in Asian countries. Some modern people living in Thailand, Malaysia, China and Singapore worship termite mounds to this day. In Malaysia, where termite mounds are abundant in residential areas, some religious groups believe that spiritual guardians build and reside within inactive termite mounds. One mound-dwelling guardian is known as “Keramat.” In some neighborhoods, locals will protect inactive termite mounds from destruction by building shrines around them. In the Hokkian dialect, Keramat is known as “Datok Kong.” Worshippers of Datok Kong pray to termite mounds in order to attain good health, protection and good luck, sometimes with the hopes of winning the lottery. Interestingly, Chinese villagers acquired their belief in Keramat from previous settlers that practiced Islam. It is likely that Islamic mystics inhabiting China during the 16th century also prayed in front of inactive termite mounds for similar reasons. Are you surprised that termite mounds are so highly regarded in urbanized areas where termite infestations must be a problem? 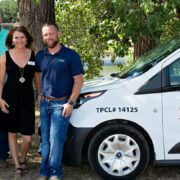 https://www.wacopest.com/wp-content/uploads/2018/08/0X2A5274.jpg 2400 3600 John https://www.wacopest.com/wp-content/uploads/2018/04/ipest-solutions-logo.png John2018-09-10 12:54:402018-10-15 01:25:41Why Do Some Modern Eastern Cultures Continue To Worship Termites In Spite Of Their Pest Status? Termites cause massive amounts of destruction in the United States, as any American well knows. However, relatively speaking, America is home to a small amount of termite species. Termites are far more abundant on the continents of Asia and Africa. Africa is currently home to the greatest amount of termites when compared to all other continents. This is not so surprising considering the current termite troubles that many residents of several Egyptian cities are now experiencing. Two cities in particular are seeing termite-damaged houses that are near collapse. In the cities of Luxor and Aswan, termite invasions are endangering many families as the result of a large scale termite invasion. According to Abdel Wahab Fakhry, a Nubian resident, the invading termites are successfully bringing down houses because many of them are built with dead plant matter, such as palm trunks and leaves. Since these homes are created with cellulose-rich materials, they make for easy targets for cellulose-hungry termites. 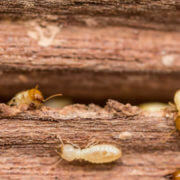 Although the destruction caused by termites in many Egyptian cities has reached a new high, termite-related problems have been occurring in Egyptian cities for years now. For years termites have been eating everything available to them in Egypt’s largest cities including ceramics and entire housing floors. However, the amount of termite destruction in Egypt has skyrocketed recently as a result of the suspension of government ministries in the country, most importantly the Ministry of Agriculture. The Ministry of Agriculture is tasked with eradicating country wide termite infestations with pesticides, but many residents believe these pesticides are too weak. A lack of eradication campaigns has caused many homes to lose their roofs to termites, and termites are even destroying people’s kitchen wear and furniture items. Luckily, Prime Minister Moustafa Madbouly has recently ordered the Agricultural Ministry and the Governor of Luxor to eradicate termites from the city and nearby areas. So far, this eradication campaign has been a success, as 40 houses in Arment, 9 houses in Esna, 10 houses in al-Toud center and 6 houses in al-Qurna have been treated for termite infestations. Do you believe that the region’s high heat is the reason for the recent termite infestations?